After many years and miles spent riding mountain and road bikes in the Colorado Rockies, Jaci found her connection with yoga while living on a small barrier island in Coastal Georgia. Through this connection and the encouragement of her teacher she began to ponder a teacher’s path. In 2014 she completed her 200 hour teacher training certification in Breckenridge Colorado. She also received certification to teach Yin Yoga through ISHTA Yoga in Manhattan, New York. Jaci has studied under and attended classes taught by Ulrica Norberg, Alan Finger, Jason Crandall, Seane Corn, Rodney Yee, Colleen Saidman Yee, Richard Freeman, Darren Rhodes, Priscilla Potter, Anthony Tribe, Douglas Brooks and Tom Myers. Her classes are thoughtful and grounding. Her focus is on breath awareness, conscious movement, alignment and the profoundness of stillness. 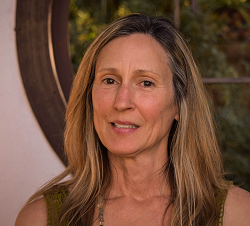 Jaci teaches hatha, gentle and yin yoga. She loves to read, practice yoga, walk her dogs and ride a bike. She enjoys learning about yoga and wellness and believes the universe provides us with the tools to heal body, mind and spirit.